Hi, Glamazons! I'm so excited to tell you about these Hairfood Co. products that I've come to love and have made part of my beauty routine. You may have seen their booths in the malls and you may be curious about the premium oils they have. 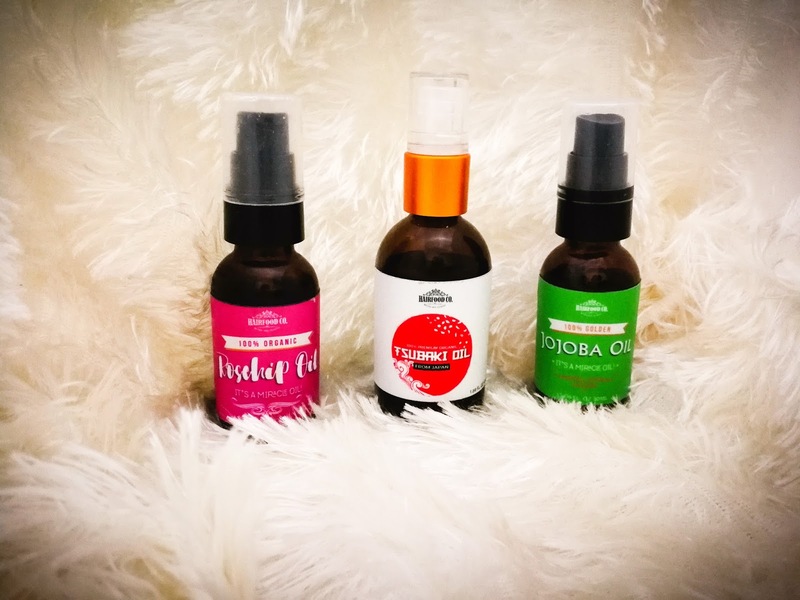 I just have to tell you right now, these three oils I've tried so far are amazing! Let me give you a brief background about how I came to incorporate oils in my beauty journey. I was trying to find a substitute facial oil for the one I've been using to mix in with my foundation. I do this to get a dewy natural finish and when I came upon Hairfood Co.'s selection, I just had to try at least one premium oil. Incidentally, apart from adding the oil to my foundation, I was also looking for a way to get rid of my stretchmarks so I opted for their Rosehip Oil. I figured, since I was investing on a premium oil, I might as well kill two birds with one stone. After trying it for over a month, I really became enamored with the results. I use it before applying my favorite body butter over my stretchmarks and it has really made a difference. I also tried mixing 2 drops of it to my foundation and it really gave me the same dewy results as with the more expensive facial oil I used before. Tip: You can turn any matte foundation into a lightweight, your-skin-but-better glowing base with medium coverage by adding 1-2 drops of facial oil to your foundation. The Hairfood Co.'s Rosehip Oil is great for dry, dull, or colored hair, recommended for scars/ stretchmarks/ sunburn, reduces signs of aging, can be used as anti-dandruff treatment, and reduces signs of aging. I really like using it on my stretchmarks and makeup. 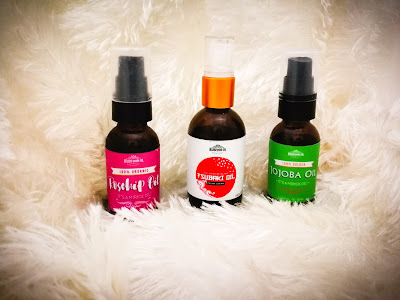 I was able to try their Jojoba Oil when they gave us some goodies from Hairfood Co.. What makes this oil different from the others is how it targets scalp, dry skin, and cuticle conditions. I especially like to use it to treat dandruff. You see, after I started bleaching and coloring my hair, I started having scalp problems. I suppose the disturbance in the natural balance of my scalp, has caused dryness and flaking so I really needed something to restore it's original pre-chemically treated condition. After applying it directly on my scalp, I could really see a big difference. I could even say, I could no longer see any flakes in my hair after my treatment. I do this once a week now and so far, this really helps me keep embarrassing dandruff at bay. This is an item I intend to buy soon because I just finished the bottle I was given. The Tsubaki Oil from Hairfood Co. was a gift from Ms. Claudine Chua of The Fashion Venom because I remarked that her hair felt extra soft when I accidentally touched it at an event. She told me she was using the Tsubaki Oil which is quite a popular item in the beauty industry. Some beauty gurus use it as a primer for their makeup to glide on seamlessly during application. I like running it through my hair to moisturize the dry ends and to tame the frizz. I've also used it before putting on my foundation and it really makes blending makeup into the skin easier. It has the same benefits as the Rosehip oil and the Jojoba but has the bonus hair-repair feature I like. I also love how it softens my hair but doesn't sacrifice any of the natural volume that I have. No weighed down hair for me! The Hairfood Co. oils are premium, lightweight, and non-greasy. I have not observed any sun sensitivity when I use it. I would still advise avoiding sun exposure though, because it causes skin aging and sunburn. These oils may seem pricey but as far as cold-pressed premium organic oils go, they are fairly priced. Considering the benefits they give, I believe you get what you pay for. You can get these oils as well as other all natural hair care products at any Hairfood Co. kiosk. 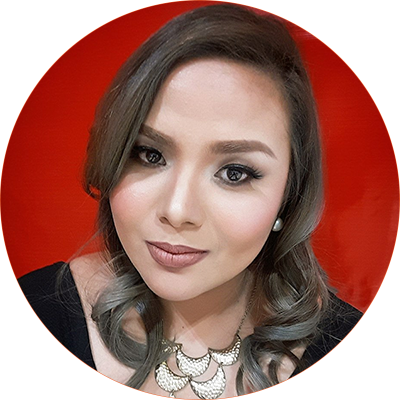 Ask their friendly consultants what products are best suited to your needs and you will definitely be on the road to healthy skin and healthy hair days.